It’s not all about me! It’s all about YOU!! And getting to meet others with Endometriosis, understand you’re not alone, building a support network, and sharing your story! Women with Endometriosis, their family members, friends, and significant others can feel free to share! If you’d like, you can submit your information below, and I will publish it on BloominUterus.Com. If you have any questions or concerns, you can email me. 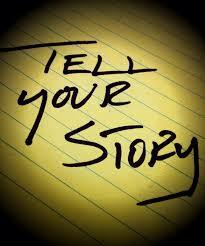 And, if you DO submit your story here, if you wish you can email me your photograph and I can include it! Just make sure I know it’s for the Bloomin’ Uterus Share Your Story page and that you’ve made (or will make) a submission. Feel free to read the stories submitted by other brave EndoSisters.